Truth be told, I didn’t read in September. 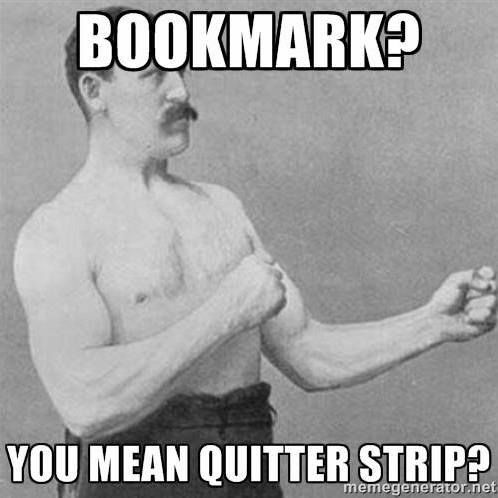 I started several books, but the quitter strips all land well before the halfway point. Thankfully, books aren’t the only way to get your daily dose of fiction! Instead of sharing my reads from last month, I’ve decided to highlight some of the TV shows I’ve recently enjoyed. I finally got a chance to watch season 2 of this Netflix Original, and only continue to be impressed. Inside jokes, a diverting narrator, and the crazy-talented cast make this easily one of my favorite adaptations ever created. Coming into season 2, I had some minor worries about my favorite bad-girls from the entire series, Carmelita Spats and Esme Squalor, but (to keep it brief) I’m SO. HAPPY. If A Series of Unfortunate Events sounds like a show you might want to watch, I highly recommend it… but be warned. While funny, this is not a happy story. And it will not end well. I’ll admit, I binge-watched this in one sitting. Perfect for October, The Hollow is a one-season-wonder full of suspense, monsters, super powers, teen drama, and other creepy things. The Hollow surprised me in more ways than one (most notably, who my favorite character ended up being), which is always a good takeaway. Wakfu is a French animated series that I found on Netflix. I had to give it a shot because the art style is beautiful. Intricate world building, diverse fantasy races, a core theme of friendship, and all the fantasy tropes you could ever want give this a classic fantasy quest vibe. Despite the promising first episode, the show is pretty simple, so I ended up half-watching most of the episodes, but I think kids would eat this up. I have a love/hate relationship with this series, but Season 3 of Star vs. The Forces of Evil was available on Hulu and I’m just invested enough that I gave in. Random, humor, memorable characters, magical dimensions, mysteries, secrets, and unexpected friendships are all the ingredients for an addictive series. I was excited to see further development of the royal family, Star’s parents (especially Moon), and, my favorite, Buff Frog. I’ll probably stick around for Season 4, but mostly just to see if Toffee will be back. Newly released as of September 21 on Netflix, Hilda is an adorable and atmospheric children’s TV series that draws on folk lore and a sense of adventure. While this is certainly a binge-worthy show, I’ve been savoring them one at a time, trying to fully take in the beautiful artwork and each episode’s unique ability to draw out the viewer’s sense of wonder. Fellow fans of Ghibli, this one’s for you.